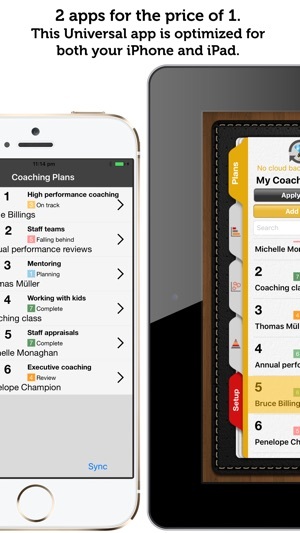 The new iPad & iPhone app designed for coaches, mentors and HR professionals. 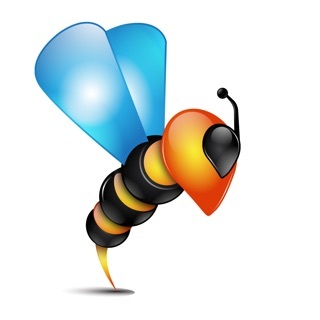 - Professional coaches and their coaching assignments can stay organized and mobile. 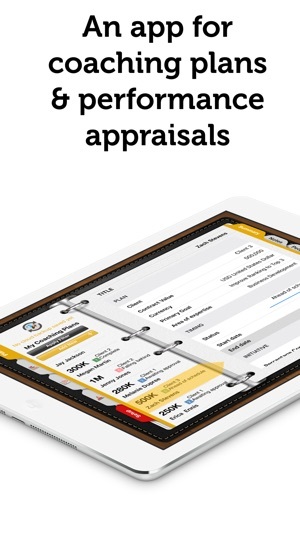 - Track staff appraisals and performance reviews. 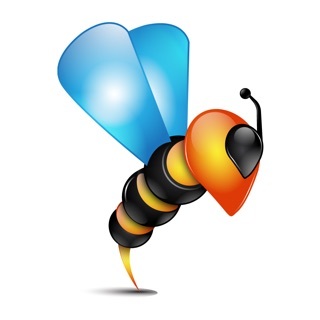 - Easily configure the app to match your methodology and workflows. 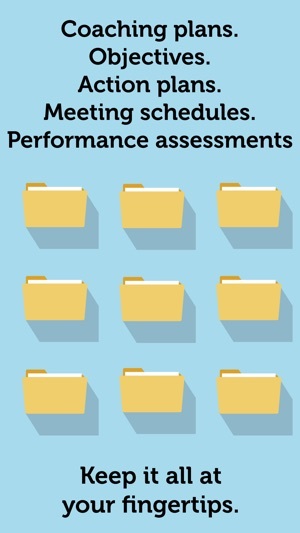 - Keep track of progress across multiple coaching assignments, initiatives, performance appraisals and programs. - You can even create multiple coaching plans for a single person , client, team or organization (or yourself!). - Assign and track goals, ambitions and stepping stones as well as those of the larger team and organization. - Works 100% offline, so you can keep your plan updated wherever you are and optionally synch to the cloud when you have a connection. BusiBI Coach and Mentor 2016 is now available as a Universal app. Download this app and both the iPhone and iPad version is included. - See iOS Reminders, Calendar, Address Book and Tasks. BusiBI Coach and Mentor 2016 is now available as a Universal app. Both the iPhone and iPad versions are included in this download.